Citing a "vendetta" against her in the wake of a controversial photo last year, comedian Kathy Griffin accused President Donald Trump of personally ordering federal agents to make her life miserable. After the release of the photo in May 2017, in which Griffin holds a bloodied, severed effigy head of Trump, Griffin was investigated by the Secret Service. Nearly two months later, she announced, she had been cleared. But she maintains the investigation's scope was unnecessary –- and that the White House was responsible. On ABC's "Start Here" podcast, host Brad Mielke asked Griffin if she thought the president personally ordered her to be targeted. "Of course," she said. "You know how he works." She did not provide any evidence to support her claim. But, Griffin said, "You know, he has a vendetta against certain people." Listen to the full interview for free on Apple Podcasts, TuneIn, Spotify, Stitcher, Google Play Music, iHeartRadio or the ABC News app. 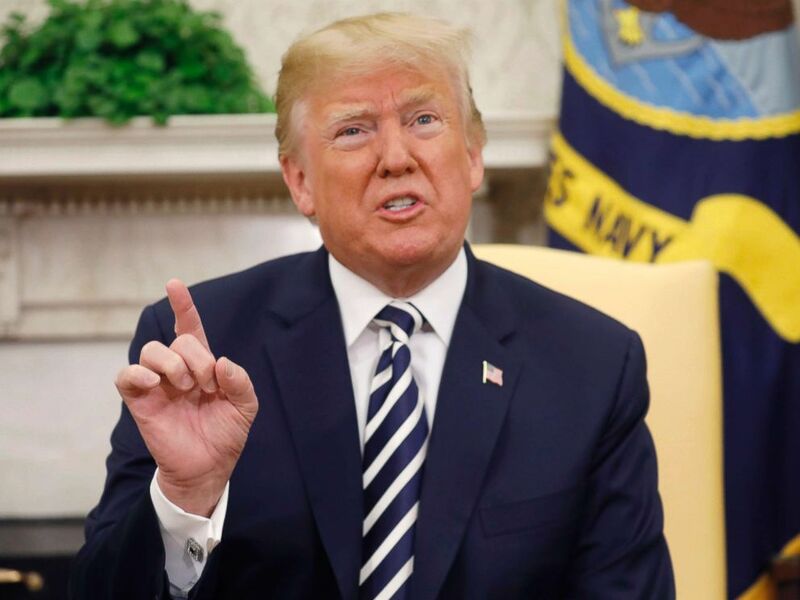 President Donald Trump speaks during his Oval Office meeting at the White House in Washington, April 24, 2018. While Griffin initially apologized for the photo in a YouTube video, she later changed her mind, telling ABC News she was the unwitting victim of an organized messaging machine to tear her down. "What I didn't realize is I was just being thrown into, like, the Trump wood chipper," she said. "I didn't realize that day that they already had this apparatus in place. You know, how to coordinate with [Sean] Hannity and Fox News and how to coordinate with TMZ." 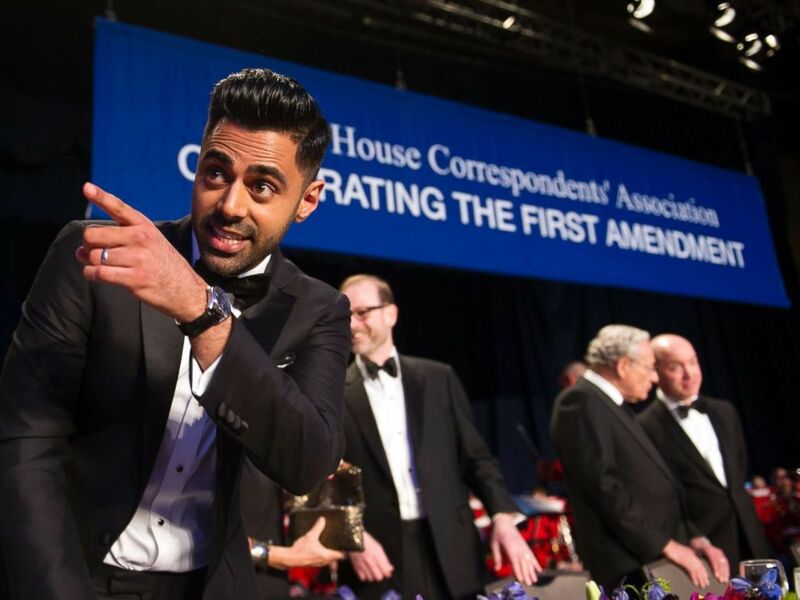 The Daily Show correspondent Hasan Minhaj stands at the head table during the White House Correspondents' Dinner in Washington, D.C., on April 29, 2017. And as she gets ready to attend the White House Correspondents Dinner, Griffin said she's done apologizing. She even re-named her tour "Laugh Your Head Off." She's not apologizing for new barbs, either. "Of course I wish Trump was going," Griffin said of the president's decision to not attend. "I've known this fool off and on for like 20 years. I mean, he's actually hired me to roast him." "I do wish he was going," she added, "because ... he can't take a joke." In Trump’s place will be his spokesperson, Sarah Huckabee Sanders. "I'll tell you something, there's something funny to me about [her] sitting in," Griffin said. "Trump is so twisted I have not ruled out the idea that it's going to be Trump just wearing a Sarah Huckabee Sanders skin suit like 'Silence Of The Lambs,' just 'cause you know he likes to act like he doesn't care what people say about him. ... But he obviously does."